I’m sure you’ve heard by now, but if not, I’ll recap. Last Saturday, Snapchat rebranded as Snap, Inc and announced that it would be releasing Spectacles. These are sunglasses with a built-in 115-degree camera. When worn, they allow you to film 10-second videos from a first person perspective. Spectacles will initially cost $130 and only “limited quantities” will be made. These have proven to be strangely divisive, especially at The Next Web. Juan Buis thinks that the quirky glasses could mainstream wearable technology among young people. Bryan Clark thinks that Spectacles are proof people will buy anything. I think both arguments have their merits. Personally, I’m sitting on the fence. Like Juan, I feel that it’s an interesting concept, but like Bryan, I can’t help but feel a little bit disappointed. Because Spectacles are undeniably cool. Snap has managed to fit a computer, storage, battery, Wi-Fi, Bluetooth, and a camera into a form factor that’s notoriously difficult to work with. Even more impressive, Snap has done it without making it obviously look a tech product. Spectacles charge in their case, and look like anything you’d pick up at a Sunglass Hut. They’ve avoided the privacy blunders of Google Glass, and come with an LED that shows when the user is recording. When you look at Spectacles purely from a hardware perspective, you can only come to the conclusion that they’re pretty rad. But I also feel that they represent a massively missed opportunity. Snap founder Evan Spiegel has described its first foray into hardware as a “toy”. That’s quite telling. He’s content for Spectacles to be used exclusively to create Snapchat videos. But isn’t there the potential to do so much more? 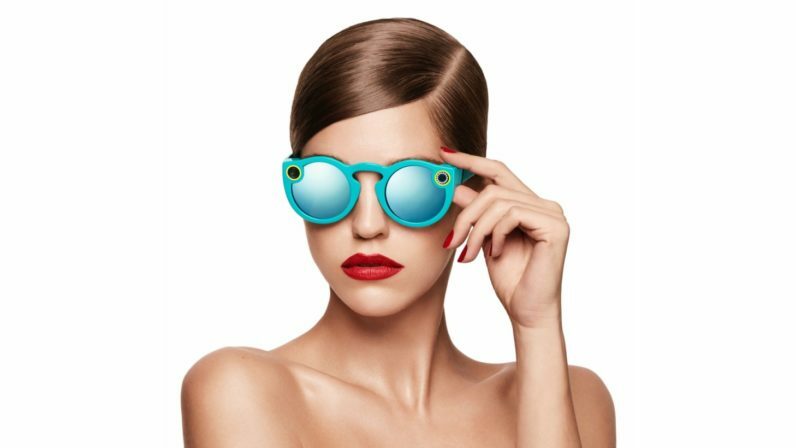 How cool would it be if Snap reimagined Spectacles not as a product, but as an open platform developers – any developers – could use to create their own apps? This would certainly make Spectacles less Snapchat-focused. But it would also make them less of a novelty, and something with more of a long-term use. If successful, Snap would also benefit as Apple and Google has from its own app stores, by taking a cut of sales, and charging for access to the marketplace. Imagine if there was a CNN app that would allow citizen journalists to file first-person perspective video reports from the field. Wouldn’t it be awesome if Spectacles supported apps from YouTube, Vine, or Periscope? As with most high-profile products like this, it’s only a matter of time until some enterprising hacker jailbreaks it. But until then, I just can’t bring myself to be excited about Spectacles.